Y’all, I could seriously burst with all the excitement that I have about this month’s podcast! We are talking about all things mental health and the special guest on the show today just so happens to be my best friend! But listen, Cerrissa Hugie is not only dear to my heart but she is doing big things in her own life - she is a Psychiatric Mental Health Nurse Practitioner who will be receiving her doctorate in December! UPDATE: Cerrissa graduated in December of 2018! Her official title is Dr. Cerrissa Hugie Psychiatric Nurse Practitioner! All the praise hands, because as you will hear, God has faithfully walked with her each step of the way over this 5-year journey. I’m so happy for my friend! 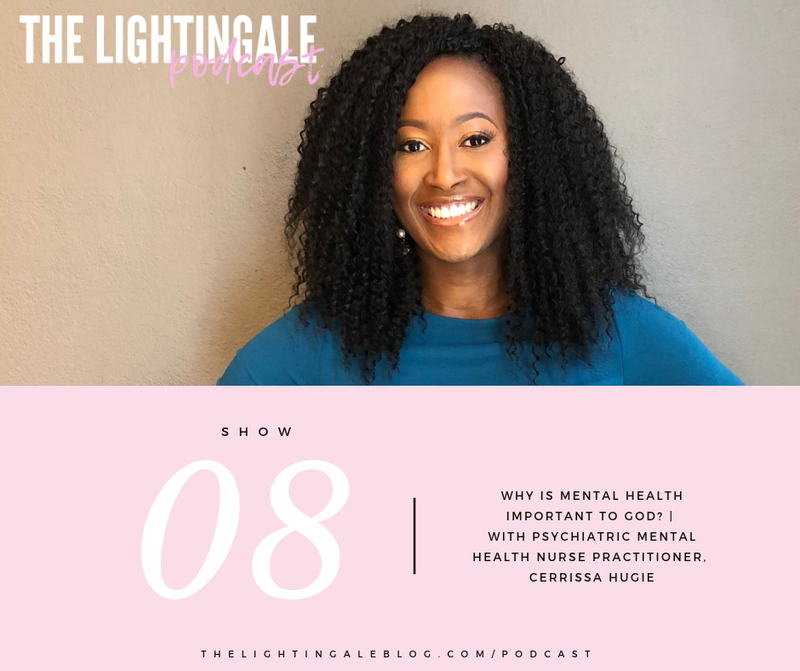 Dr. Hugie is going to shed some light on why mental health and having a stable mind is important to God, she’s going to explain why emotional vulnerability is so necessary and she will break down why intentional self-care is important in being productive in the long run. It is with a full heart that I say I am so completely honored to share this interview with you!